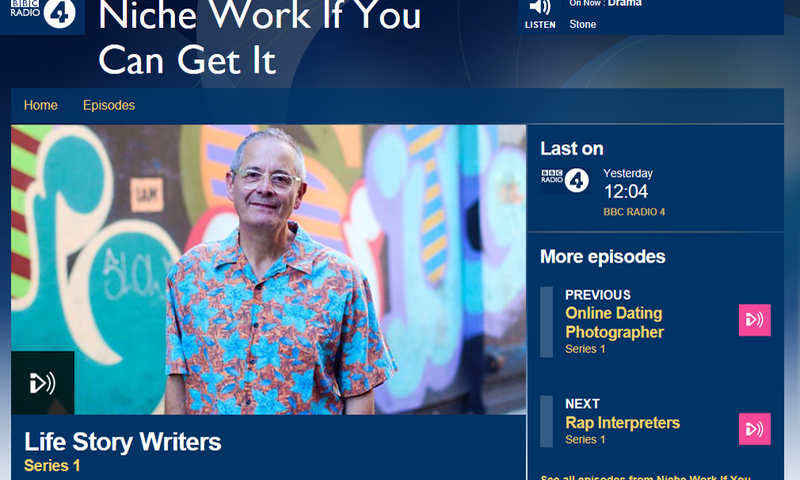 Listened to this short programme yesterday on BBC Radio 4 (http://www.bbc.co.uk/programmes/b09mzkdf). Interesting to hear about the niche area of life story writers – I guess we’re part of that niche. Anyway there were some nice stories and interviews where people talk about the reasons why they decide to leave a lasting record of their life story. It’s what is described in the programme as park bench syndrome – do you want to simply leave a plaque on a park bench or do you actually want to feel that your life means something?